In May 1945, the Second World War is coming to an end. However, one more battle is needed. It will be referred to as the last battle of the Second World War, but it is not entirely true. Itter Castle is located near the Inn River in Austria, approximately 18 kilometers from the popular tourist spot of Kitzbühel (Kobylí). The village of the same name surrounding the castle had about five hundred people in the wars. The medieval fortress was here in 1241. The Counts of Ortenburg settled here. The castle has undergone many difficult periods - for example, in 1526 it was destroyed during the German peasant storms. In 1805 he fell to Itter Bavaria and only until 1816 he was annexed, together with the rest of Tyrol, to the Austrian monarchy. In 1884, Sophie Menterová, pianist and pupil Franz Liszt, bought it. He himself visited the castle. Other well-known visitors included the Polish-born pianist Arthur Rubinstein and Petr Ilyich Tchaikovsky, who conducted one of his works here. In 1902, Menterova Castle sold it, and it subsequently underwent another reconstruction in the spirit of the Tudor Neo-Gothic and in this form we know it today. In 1938 Anslus and the castle fell under the command of the SS. On April 25, 1943, Itter became a prison for prominent French prisoners (President Lebrun or Prime Minister Daladier, a signatory to the Munich Agreement) was imprisoned here. Let's move now to May 3, 1945. Adolf Hitler committed suicide three days ago, and the greatest contingent in human history - the Second World War - came close to his conclusion. That day he left the bicycle Zvonimir Čučkovič, a Croatian partisan and now a prisoner, Itter Castle. The prisoners found that the castle was unguarded, and Sebastian Wimmer, the prison commander, had left with his family. Čučkovič carried an important letter in English to hand over to the first American he saw. 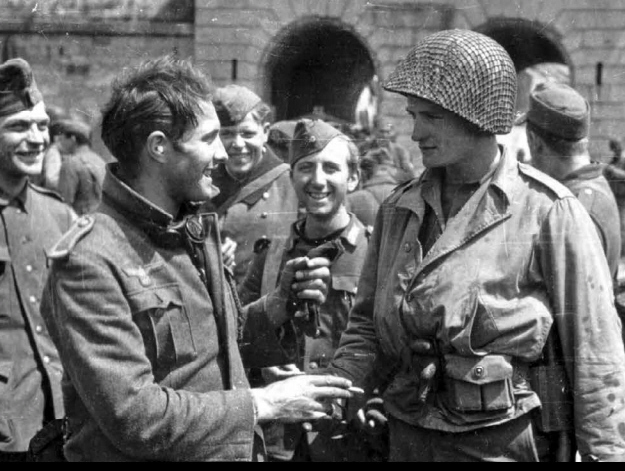 Čučkovič traveled 64 kilometers to the suburb of Innsbruck, where he encountered the American vanguard of the 103rd Infantry Division. The guerrilla informed them of the prisoners in the castle, but the Americans, who did not hold any of the senior officers, promised him the answer until the next morning, when the command would arrive. Meanwhile, the second prisoner, the castle chef of the Czech nationality, Andreas Kobot, set off on his way.